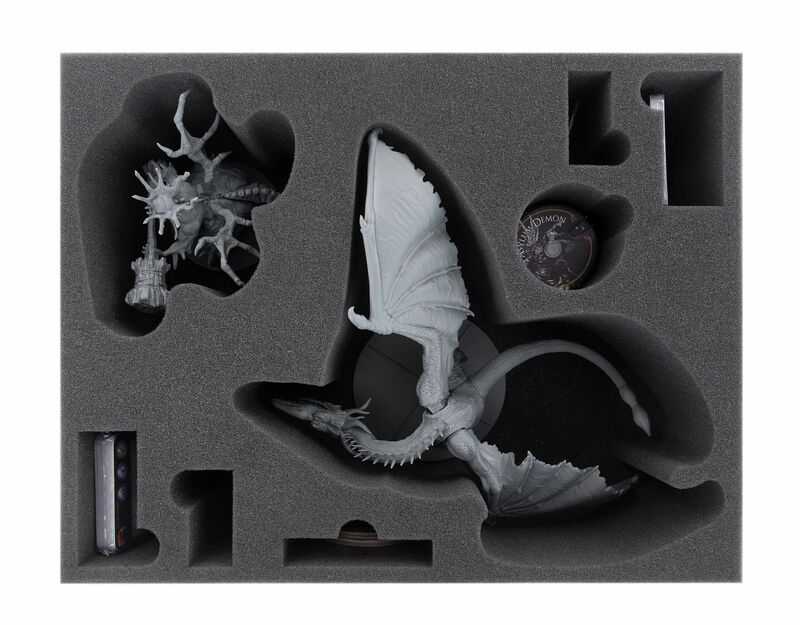 Be it the fire-breathing, mighty guardian of the way to Dragon Aerie or the demon lurking in the Undead Asylum, both Boss miniatures are safely housed with this foam set. Two miniature-precise cut compartments give the two bosses, Guardian Dragon and Asylum Demon, a safe home. Thanks to the exact cut, the miniatures remain in their softly padded place even during transport. This avoids collisions and the rubbing or chipping of the colors on painted figures. Fine, sensitive parts, such as the wings of the Guardian Dragon or the headdress of the Asylum Demon, are well protected from bending or breaking. 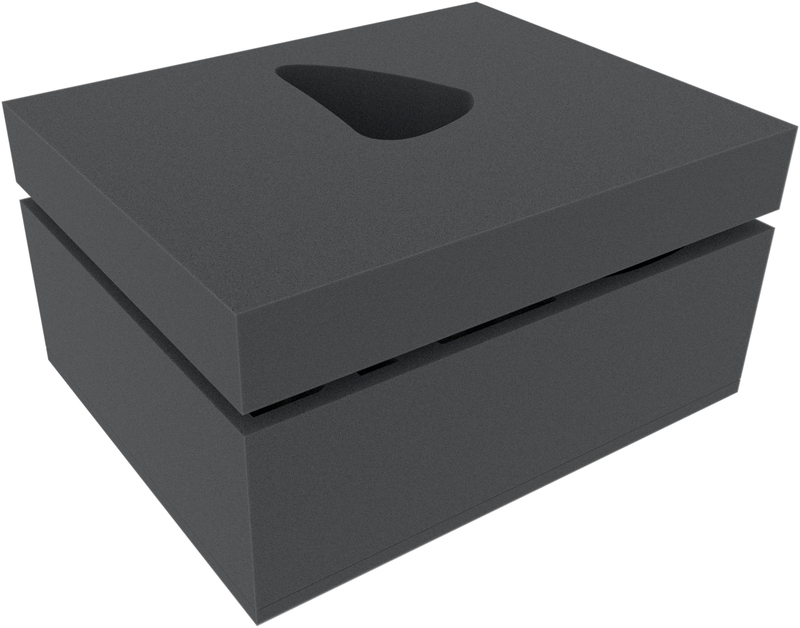 Each boss also gets 2 card compartments, one for the larger cards (e.g. Data and Behaviour Cards) and one for the small cards, like the Treasure Cards. The compartments are all equipped with finger-wide recesses for easier removal and are of course also suitable for cards with sleeves. A round compartment can be used to store the Health Dials. For the Pillar Tokens of the Asylum Demon there is also a separate compartment. 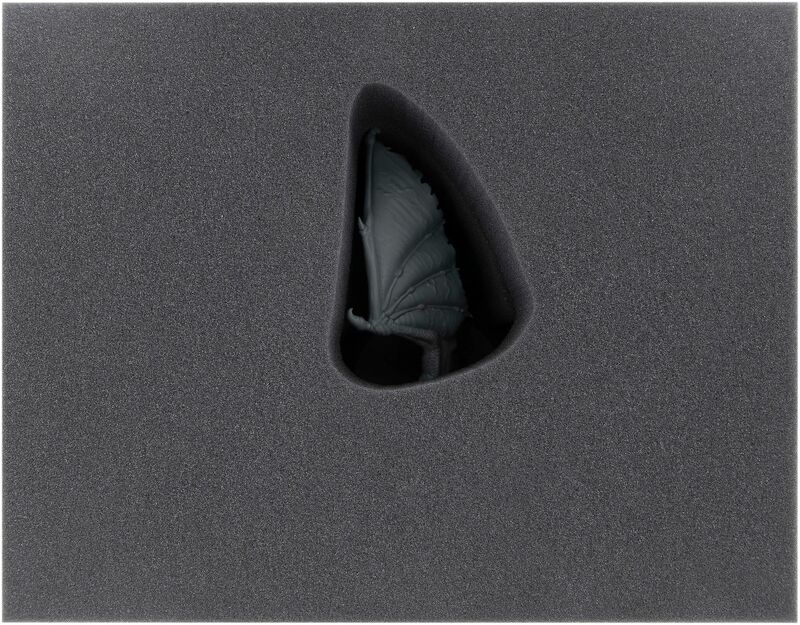 To ensure that the Guardian Dragon's high-rising wing is adequately protected, there is an additional 50 mm high cover with a wing-wide cut-out. A matching foam topper rounds off the set, so that all miniatures are completely surrounded by foam. 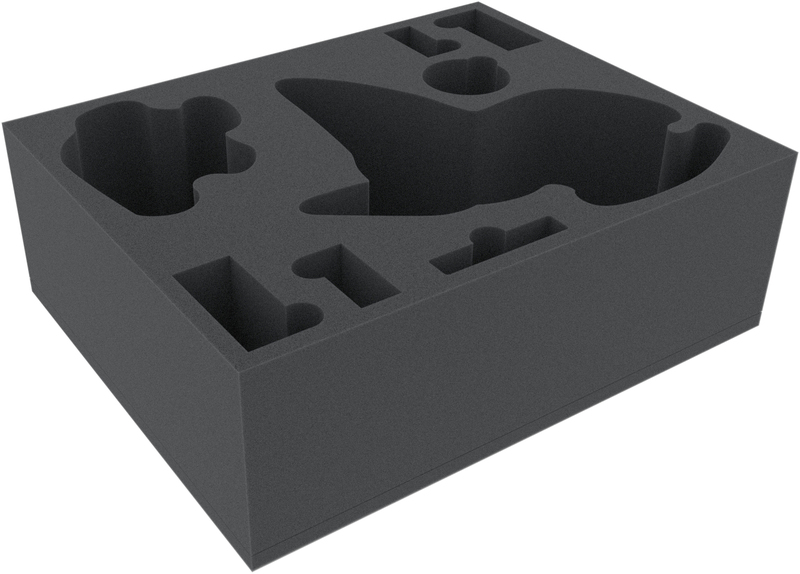 The foam tray has the dimensions: 345 mm x 275 mm x 115 mm total height (105 mm usable height + 10 mm foam base). The foam mat has the dimensions: 345 mm x 275 mm x 50 mm total height.